One Vision Housing is a registered social housing provider which manages over 11,700 homes in Sefton and Liverpool, consisting of around 9,500 general needs properties, 1,600 independent living properties and 500 leaseholders. The introduction of the ‘under occupation penalty’ (more commonly known as the ‘bedroom tax’) has meant that people of working age, living in social housing under-occupied by one or more beds, have faced a weekly reduction in their housing benefit allowance. This had impacted on One Vision in a number of ways. Some customers have not been able to cover the shortfall in rent, leading to an increase in arrears; and there has been a drop in demand for larger properties. In response to these changes, One Vision set out to explore other measures and strategies that could be implemented to help increase demand and attract new customers. The group also wanted to investigate new ways of differentiating their offer to protect and increase income streams. arc4 was appointed to provide expert guidance, advice and support in this process. Initially we set out to develop a deeper understanding of the scale of the problems faced by One Vision. This involved visits to the neighbourhoods where the provider worked, and assessing its void standard, property marketing documents and experience of marketing outside of traditional routes. We also undertook a housing market review focusing on the population forecasts, household projections (including age profiling), district level forecasts and local context to provide sub-district broad figures that could then be utilised within smaller geographies. This was focused on tenure and size enabling arc4 to provide robust data for household demand up to 2021. By comparing tenure profiles and age groups based on 2011 census data with future forecasts, arc4 was able to project future numbers for people living in the PRS and owner occupation sectors, and the likely size of the PRS and owner occupied market into 2021. 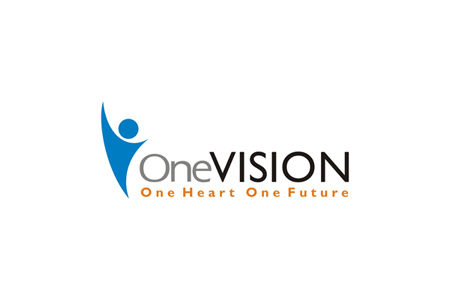 This enabled us to assess the longer term demand for One Vision stock. We also carried out a review of the local authority’s strategic documents to identify any planning implications that could impact on the future demand for stock. Using data from 2010 we assessed the demand for PRS stock, and combined this information with land registry and census data to provide robust statistics about how the existing PRS markets are performing. We also undertook a letting agent review, contacting around six letting agents to gather detailed information about the PRS markets, how it is changing in size, popular areas, popular properties, demand and supply issues, what clients are looking for, target demographic groups, void rates, rental growth rates, affordability, occupancy rates etc. The review also provided information on the letting offer from agents, including: the service offer, the cost of that service to individual property owners, and portfolio property owners. arc4 also invited a number of letting agents to visit empty One Vision properties to give their own assessments of the product and service, and its level of market competitivity. As well talking to local letting and estate agents about the target demographic, arc4 analysed local census data and small area statistics around household characteristics to identify key target markets, and create a ‘typical’ tenant’ profile. Primary research played a critical role within this project. We ran a two-month online survey through local letting and estate agents that generated 182 responses. The information provided was used to gain a deeper understanding of the thinking and decisions that local people made about where they live, the tenure options, the barriers to their tenure of choice and their perceptions of social housing and One Vision in particular. It was also a useful opportunity to test options, service offers, locations and rent levels with households. arc4’s evidence base provided One Vision with a far greater understanding of its housing markets, and how they compared with the PRS performance. We recommended a range of options for hard-to-let properties, covering PRS and a range of intermediate home ownership options. The final report made recommendations about the product offer that was required to compete in the PRS, and the type of marketing that would be required to support this strategy. One Vision accepted and is implementing a number of these recommendations in order to improve the performance of its existing hard-to-let stock.